What’s the difference between pursuing bank-owned properties vs. short sale properties? Understanding the differences between these two forms of distressed sales is critical to writing winning offers and paving the road to a successful closing. Perhaps more importantly, understanding their differences will mean that you’ll get the best deal possible on your purchase. A bank-owned property (often referred to as a “foreclosure” or “REO”) is a home which has been taken by the bank. In this case, the foreclosure process has concluded and the property is now owned “free and clear” by the lender. Making an offer on a on a bank-owned property is relatively simple in that response times are quick (24-48 hours on average). Due to the fact that the response times on bank-owned properties are similar to those associated with traditional sales, buyers are typically more interested in pursuing these purchases than they are in pursing short sales. Of course, with greater interest, comes greater competition. The typical closing timeframe for bank-owned purchases is 30-45 days from the time of contract acceptance. Closing dates should be set within this window unless directed otherwise in the offer instruction package. Bank owned properties are typically vacant as the previous owner has usually abandoned the property or was removed as a result of the foreclosure process. Vacant properties often incur additional levels of physical distress, and in certain municipalities, incur additional cost exposure due to vacant building registration and code compliance requirements. A buyer should be warned that the lender typically requires the use of their own contracts in lieu of the standard Minnesota purchase agreement forms. These required contracts are typically weighted to the benefit of the lender (owner) and should be navigated with skill and caution. A buyer’s agent should be very experienced in reading these contracts and should make clear to the buyer the limits of contractual instruments such as earnest money deposits, inspection contingencies, and financing contingencies. Bank owned properties transfer with a lesser warranty of title than is offered in a “short sale” or a traditional sale. A bank owned property typically transfers with a Special or Limited Warranty Deed in contrast to the standard Warranty Deed. Notably, if one does not adhere to the contractual limitations and timelines, the possibility of losing earnest money deposits is great. A “Short Sale” simply defined is a situation where the proceeds from a sale are insufficient to satisfy existing liens on the subject property. The existing liens typically include a first mortgage and can also include a second mortgage, mechanics liens, personal judgments, and tax liens. If the summation of all the existing liens is greater than the “sale proceeds” (sale price less the costs of selling) than you have a short sale. When sellers are unwilling or unable to bring the funds needed to bridge this gap, these become the most sophisticated transactions that we deal with in today’s market. A short sale listing may or may not be occupied throughout the course of the listing and during the purchase transaction. As mentioned above, vacant properties can present problems in a purchase. In the case of a short sale, occupied properties may present their own challenges. Because the seller is not directly motivated financially by sale proceeds, it is not uncommon for the seller in a short sale process to lose interest in maintaining a high level of property condition. One possible ramification of this is that a buyer should be prepared to find unwanted personal property items left behind at a property on the closing day. This is certainly not always the case, but make sure your expectations are set appropriately. The key to winning a short sale offer is speed. If a buyer acts swiftly when writing an offer on a short sale, a unique opportunity presents itself: There is a high probability that the offer will be signed by the seller and submitted to the bank in the absence of the typical consideration of achieving the highest sales price. The seller, in a short sale, cannot receive any proceeds from the sale. Therefore, receiving the highest offer is not the seller’s motivation. This process differs greatly from the traditional sale due to the goals of the seller and the fiduciary relationship of the sellers and their real estate agent. In most short sales, the primary goal of the seller is to avoid foreclosure. 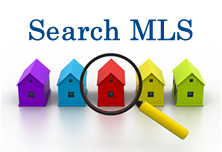 The secondary goal of the seller is to be released of any deficiency judgments from the existing lien holders. The responsibility of the seller’s agent is to help the seller avoid foreclosure. A seller and his/her agent will be looking for an offer which is “bona fide” and of a justifiable value. If a buyer writes such an offer, even if the offer price is significantly below the “traditional” market value, the seller will almost always sign it. This offer will become the “first position offer” and any offers received subsequently, will be considered “backup offers.” Typically backup offers are not presented to the lender until the first position buyer either backs out of the transaction, or receives a counteroffer from the lender that he/she is unwilling to accept. The typical timeframe for approval is 60 days from the time of submission to the lender, and the closing will usually be required to happen within 30 days of the lender approval. Most, but not all short sales involve a seller who is in a state of “hardship” in relation to the ownership of their home and most of the time, default on the existing mortgage(s) has already occurred, or is imminent. As a result, the seller is holding a ticking time bomb where foreclosure is the unfortunate end. The seller simply wants to escape by means of selling the property prior to the “end of redemption,” which is the point at which the foreclosure has consummated. Once again, speed is critical as you should want to be in first position. For the patient and savvy buyer, short sales will continue to be the best deals in our real estate market for years to come.